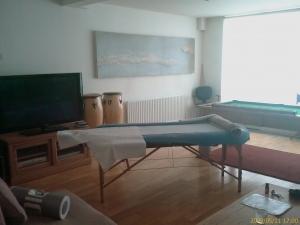 East Dulwich area £80 per hour visit. Dulwich, Peckham and Forest Hill £85 per hour visit. South East and Central London £100 per hour visit. All other areas in London £120 per hour visit. Outside London £120 per hour visit plus travel expenses. Minimum one hour booking required. There is a £10 discount if a massage couch or massage chair is not required. £10 off each if a friend or family member is also receiving a treatment straight after. Each home visit from our therapists is always notified to a third party whose responsibility is to check with the therapist at a set time to ensure on their safety and well being. Any form of abuse will be immediately reported to the police and prosecuted. Our therapists reserve their right to refuse home visits without the need for justifications. All bookings cancelled with less then 24 hours notice will be charged at the full price so please notify us in time if you need to cancel or reschedule. A full refund will be credited to your account for cancellations given within 24 hours of your booking.